While this is certainly not a complete list, we think these are some changes that can be celebrated by marketers—as well as leveraged in 2018 and beyond. 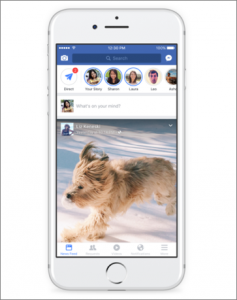 #1 – Facebook continues its push to help users and brands tell Stories. While Snapchat came on the scene in 2013, the platform began gaining major ground in 2016 as a formidable contender within the social media space, drawing younger audiences and causing Facebook to sit up, take notice and form an action plan. While Snapchat’s main interface is totally unique, the one thing that could be cloned is its Stories feature—something that Facebook got to work on by first rolling out a similar feature on Instagram in the summer of 2016 and then in its own Messenger app shortly thereafter. But 2017 brought Facebook Stories to a new level. In early October, it was confirmed that Facebook was rolling out an option to syndicate Instagram Stories to Facebook Stories. Not long after, TechCrunch learned that Facebook Stories would soon be opened up to Pages, which would let brands, news publishers, athletes and nonprofits get in on all the fun. That full rollout to Pages appears to still be in the works, but its something marketers should be on the lookout for as they enter the new year. #2 – LinkedIn implements lead gen forms on ads. For B2B brands, there’s little doubt that LinkedIn can be an especially effective digital advertising platform with the right message, budget and targeting in place. 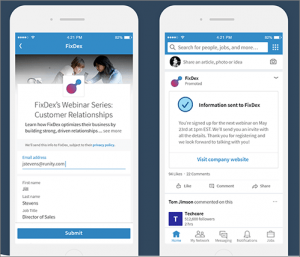 And LinkedIn sweetened the pot earlier this year by adding a Lead Generation Forms option to its ad platform, allowing users to opt into your offer with just one click. Of course, a few months after releasing the offering into the wild, LinkedIn has made some enhancement to the offering, including the ability to add custom questions to the forms, according to AdWeek. In addition, AdWeek said marketers have reported that using the lead gen forms have helped lower their average cost per lead by more than 20%—something that’s certainly worthy of your consideration as we head into 2018. #3 – Instagram begins its rollout of the “paid partnership with” tag. Influencer marketing is exploding right now, with brands of all sizes have forming both paid and unpaid partnerships with influencers—and using social platforms, especially Instagram, to spread their message. In the spirit of enhanced transparency—and the added benefit of bringing even more credibility to your influencer marketing initiatives—Instagram rolled out a “paid partnership with” tag in June 2017 for posts and stories. Then, after a couple months of testing and data gathering, Instagram announced it would expand the tool. #4 – LinkedIn launches its own video capabilities. Yes. When LinkedIn rolled out native video capabilities this year, B2B marketers everywhere rejoiced at the prospect of being able to serve up live, raw video to a professional audience. While the new offering is still in its infancy, you can bet that LinkedIn will make investments in evolving the offering to make it even easier to use in the future. #5 – Twitter doubles its character count. Perhaps one of the biggest social media news items of 2017 was Twitter’s decision to expand its character limit from 140 to 280. The company had been toying with the idea of super sizing its limit for a while—with rumors circulating that the limit could go as high as 10,000 characters—but it began with removing photos and links from the count in mid-2016. 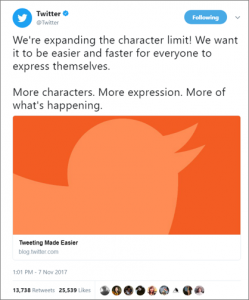 The official switch to a 280-character limit came in early November, giving users (and brands and marketers) more space to express themselves—while still staying as true as possible to its commitment to brevity. The good news for marketers? While it’s still early, some preliminary research indicates that tweets longer than 140 characters get more engagement. SocialFlow, a social media analytics company, reported that their latest data showed that people are liking and retweeting longer tweets almost two-times more than shorter ones. However, remember, value and resonance are what hook your audience—not your character count. So, before your rewrite all of your tweeting best practices, do your due diligence through some testing, and data collection and analysis to determine what your audience really responds to. Read: Will More Tweet Space Equal More Value for Your Twitter Audience? #6 – Facebook refreshes poll feature to include GIFs. There’s no doubt in my mind that the invention and rising use of GIFs has made the internet so much better. And, well, Facebook just took it all to the next level by refreshing its “old” polling feature to support GIFs. 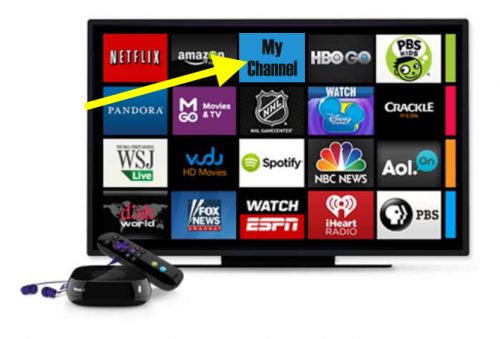 The new feature made its debut in early November and it’s pretty simple. At the top of your News Feed, click on the “What’s on your mind” section and select the ellipsis to reveal all your options, including “Poll.” For pages, select the “Event, Products, Job+” option at the top of your page. 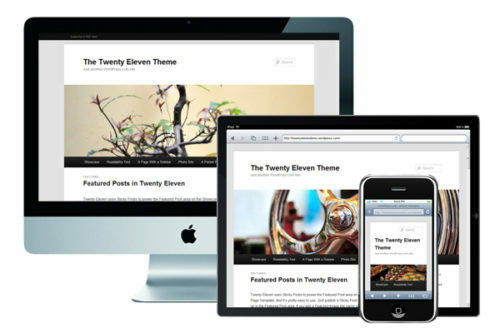 Then ask your question in the top and then select your two options via an image upload or GIF search, and hit publish. From what we can tell, this new feature isn’t widely used yet, but could pack big engagement potential. After all, it allows you to combine multiple social media best practices into one post: visual imagery, a compelling and engaging question, and a spark of humor and personality. As the old adage goes, the only constant is change—and we can certainly expect that to hold true for the social media landscape in 2018 and beyond. Of course, some of the change we can expect is already in the works—especially for Instagram. Rumor has it that Instagram is in the midst of testing several new features on its mobile app—including a “regram” button. A couple weeks ago, The Next Web broke the news that Instagram was “secretly” testing the new feature. As any Instagram user knows, at this point the only way to share posts from other users’ accounts is through third-party tools, or to download and re-upload to their account. If this does come to fruition, this could mean big things for brands that want to foster engagement and connect with influencers. Other features that are reportedly being tested include: GIF search (via Giphy) to add animated GIFS to Stories, the ability to follow specific hashtags (which would be a real win for marketers), and the ability to “archive” stories. Of course, you can bet that Snapchat, Facebook, Twitter, LinkedIn and even YouTube to continuously looks for ways to engage users and support advertisers. In early 2018, TopRank Marketing will release our annual Social Media Marketing Predictions, featuring insights from industry experts and thought leaders—so stay tuned for that! What change to a social media platform got you excited, annoyed or scared in 2017? Tell us in the comments section below. 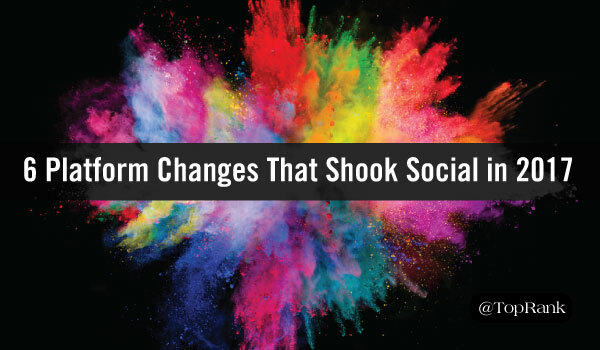 The post Year In Review: 6 Platform Changes That Shook Up Social Media Marketing in 2017 appeared first on Online Marketing Blog – TopRank®.